No job is too large for this heavy-duty drill press. 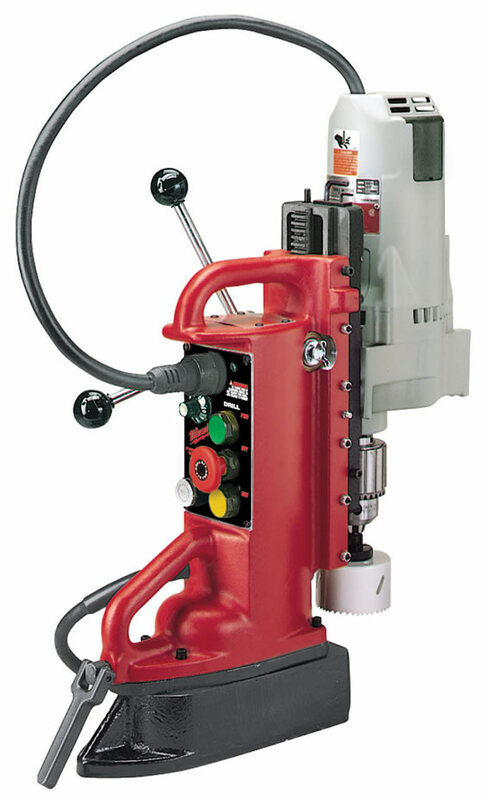 This unit features the 4203 adjustable-position, variable-speed base and the 4297-1 1¼-in drill motor. Built for production drilling, this 11.5-amp drill can handle the toughest drilling jobs with up to a 1-¼” threaded hole capacity. The two-speed motor runs at 250 and 500 RPM, geared low for maximum torque. It can produce up to 1600 pounds of drill point pressure with a 1-inch steel plate. It can produce up to 1600 pounds of drill point pressure with a 1-inch steel plate.